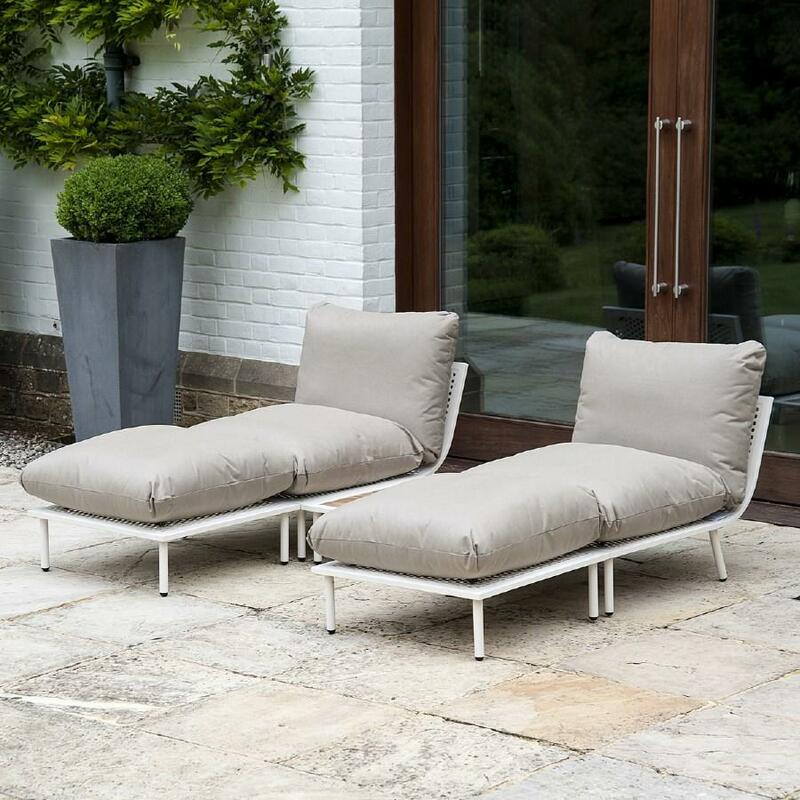 These weatherproof fabric sunloungers are actually made up of 2 modular units - a chair and a footstool so also offer really versatile garden seating if separated and used individually. The waterproof cushions are deep seated and ultra comfortable and attach to the seat frames with toggles to keep them perfectly in place. The fabric is solution dyed Olefin with an extremely high UV colour fastness. A pre-treated waterproof finish on the outer surface and a PE (polyethylene) treatment on the rear of the fabric makes it water resistant. Covers are sewn using a unbreakable, rot-resistant marine grade thread. To minimise cleaning and protect the cushions we do recommend storing them during prolonged wet weather and when not in use and certainly over Winter months.